Moving home is a practice that can be tough on the environment. Think of all the boxes and packing products that are used by people moving home each day. That’s before you start to consider the amount of fuel used by removal firms. We know that moving can be stressful enough without having to take time to think about being eco-friendly, but it can be worthwhile taking just a little time to make some adjustments that are helpful to the environment. We are going to give you some tips about how you can recycle when you arrive at your new address. First, it’s worth mentioning a couple of things you may want to consider before you move. It’s a good idea to look up adverts for recycled moving products so that you make further use of products that have already been used by others. It’s also worth doing some research about green removal companies that use eco-friendly fuel and practices. 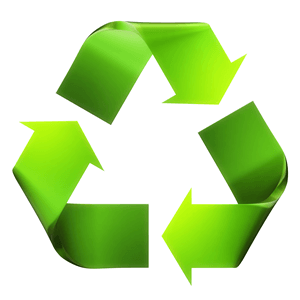 Now let’s take a look at your recycling options after you arrive at your new property. You used recycled moving materials in the first place so now it’s your turn to pass them on to someone else. You can just place an advert on sites such as Gumtree or Preloved and offer the materials to someone else who is moving home. If everyone continues to do this a chain of re-use can be created which can only be good news for the environment. Even if you did not use one at your previous address it’s a good idea to set up a composter in your new home. It’s an excellent way of using things such as food scraps, pruning remnants, coffee grounds and tea leaves to put some nutrients back into the soil around your new property. Composting is one of the best ways of recycling in order to give something back to the environment. If you want to be serious about recycling in your new home then it’s a good idea to do some research about your recycling options. You can search online for local charity shops and recycling banks where you can dispose of items such as unwanted clothing and used bottles. Doing this is a much better for the environment than just throwing them away. If you have been meaning to recycle more for ages then why not use the move to a new address as a catalyst for making it happen. Recycling is not difficult and you can start by setting up a recycling centre in your new home. You can set up containers to hold items including paper, glass and clothing items. If you separate these items in your home this makes it easier for you to recycle them in the appropriate manner. It’s a good idea to do this as soon as you have unpacked so that you can get straight into the idea of recycling as you embark on the next stage of your life. Most people tend to dispose of unwanted items before they embark on a move. This does not mean you cannot rationalise what you have even further as you unpack. It’s a good idea to have a box set aside for any items you no longer really need. Doing this not only means you start the new stage of your life with only the items you actually need in your home, it also means that someone can potentially benefit from the items you can no longer make use of. All of our tips are aimed at helping you to start life in your new home with recycling in mind. It’s a good time to get into the green habit.